Posted on November 5, 2011 by Southampton Soap Co.
Our fall Karma Kids session will be fighting against hunger both locally and in Africa through Save the Children. 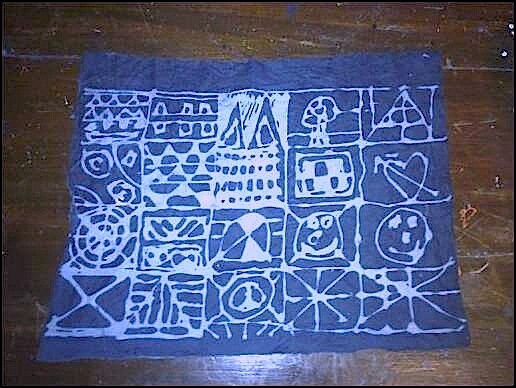 We will be creating a batik tablecloth to raffle, as well as printed holiday cards using Adinkra symbols. Join us in the studio for two Sundays, November 6th and 13th from 1-2:30 pm. Please RSVP to Sam at Sam@karmakidsart.org.